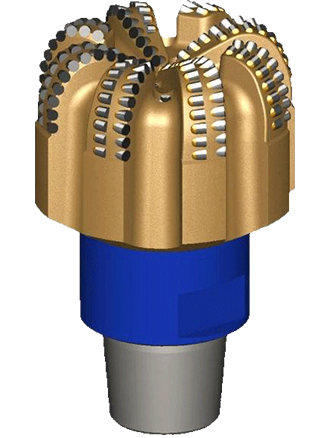 Dual cutting structure impregnated bits are available for your ultra-hard and abrasive drilling. The series combines the cutting actions of standard PDC drill bits with that of diamond impregnated bits. A unique cutting structure designed using our proprietary bit design software strategically orients each cutting structure for increased formation shearing. As the formation becomes harder or more abrasive, the PDC cutters wear down to expose the diamond impregnated cutting structure to the formation. Extended bit life is achieved when the cutting mechanism changes from shearing to grinding as the primary cutting elements are worn away. The result is a high performance drill bit with increased ROP in both non-abrasive and abrasive formations and runs completed to TD reducing the need for a second bit.